In 2008, I spent some time in the Kimberley area of Northern Australia as part of my Ian Potter Foundation Composer Fellowship, producing a number of works in response to ideas and images from my travels. In this part of Australia, Bardi artists have long carved pearl shells for ceremonial purposes in the initiation of boys. One of the key artists in this field is Aubrey Tigan whose works are collected as art objects as much as cultural artefacts. 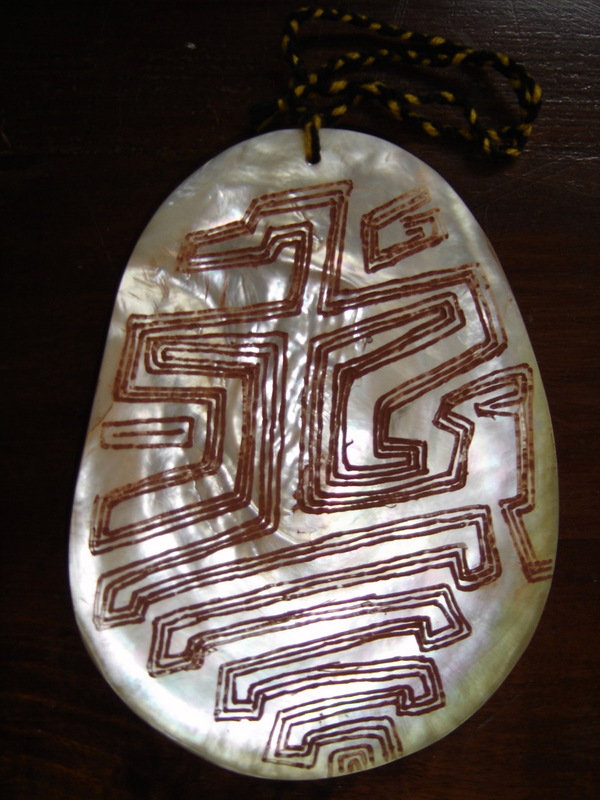 Shells are incised with navigation and other designs, rubbed with ochre (coloured earth) and fixed with string made of human hair. Pearl shells, with their iridescent shimmer suggesting the shifting surfaces of water, are emblems of life. They are highly prized items in the Aboriginal economy having been traded for centuries across the continent, taking on new meanings in different locations. For instance, whilst in the coastal areas, they are openly handled by men and women, in the interior desert communities they are regarded as ‘secret men’s business’ and the incised designs given other layers of meaning. One intriguing theory, discussed by the writer and art critic Nicolas Rothwell, is that the meander zig-zag designs might have originated from the classic ‘cloud patterns’ on Chinese porcelain used by Macassan people of the nearby Indonesian islands who were trading with Aboriginal people a thousand years ago (well before Europeans ‘discovered’ Australia). For me, the subject is very rich in ideas about the migration of ideas and images and the way meanings accrete and disperse as something travels into different contexts thus having a wider conceptual resonance beyond the specifically Aboriginal sources. In Pearl, Ochre, Hair String, I explore aspects of the aesthetic category of shimmer which is so central to Aboriginal art and ritual culture. Qualities of ‘shimmer’, ‘brightness’ and ‘iridescence’ are factors which both veil and point to the presence of a timeless spiritual reality. 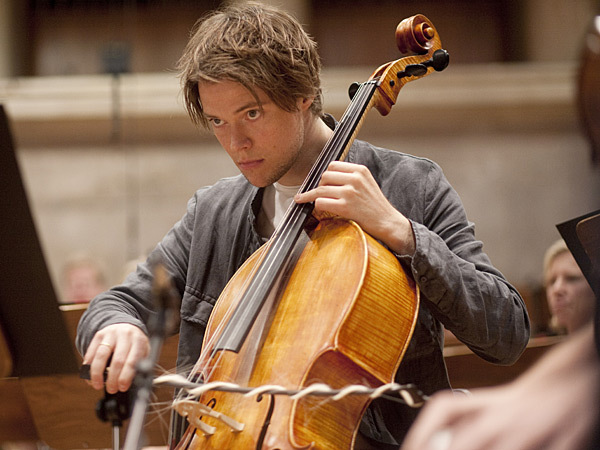 The solo ‘cello at the beginning of the work, makes use of a serrated ‘guiro bow’ (the bow hair is wrapped around the stick to create an uneven playing surface) adding a layer of granulated sounds over every stroke rather like the cross-hatching patterns of bark paintings or the incised lines on the pearl shell surface. This idea of surface vibrations moving over other underlying shapes is explored in many different ways by the whole orchestra and I think of the moving lines and planes of the music as sonic maps showing ‘turbulence patterns’ created by the passage of unseen forces. For more information, see: Lim, L. (2012) Patterns of Ecstasy. Darmstädter Beiträge zur neuen Musik , 21, pp. 27-43.